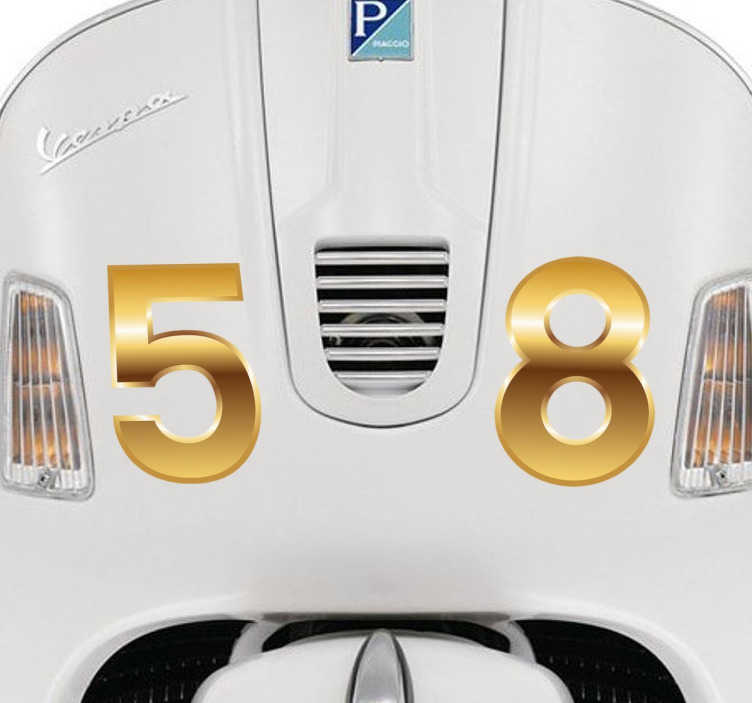 Give your bike an elegant and spectacular look with this set of golden numbers from our collection of number wall stickers. Now your own car may look better, be more striking and individualised if you put some numbers with three-dimensional effect. In the decal sheet all numbers from zero to 9 are included. Combine them the way you prefer and give your bike a touch of "delux". Cheap and very resistant sticker, perfect for application on any flat surface, also in your car, van, truck, or even the walls of your house.